Without all the history and documents, it appears the HOA is opening themselves a can of worms if they let the green trim stand. Reader Question: I am a resident homeowner in an HOA with 88 homes. Some months ago a homeowner installed new windows with a green-tone trim. The other 87 homes have white window trim as originally constructed. Do you believe the change to a green-tone window trim violates the above restrictions? Do you think it will have a negative impact on the value of my house? Marvin D.
Monty’s Answer: Hello Marvin, and thanks for your questions. Violation of HOA rules often creates conflict. Aesthetic interpretations can be challenging in this situation if the document does not define the word aesthetics. It will be an easier question if “any exterior paint color” was a part of the definition. 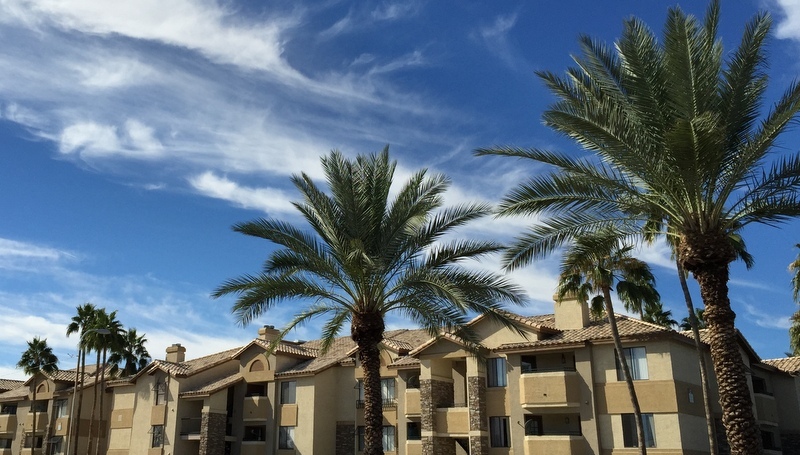 In many HOA’s, the exterior is completely controlled by the HOA. The clarity of the docs in definitions and intent may not be clear. Precedent – You indicate the other 87 units are all white trim. All the unit owners have complied with “white” which is an indication that unit owners consider “white” trim color to be a part of the aesthetics. Did the unit owner have the Board’s approval? By allowing green-tone, what will this mean to future interpretations on trim color? Will “hot pink” be allowed? Location, size of trim and number of windows – Are any of these facts a consideration as to the visibility of the difference green-tone creates to people walking or driving by the unit? Or does one have to be a next-door neighbor to affected? Also, to tie into the foregoing comment, if the trim were “hot pink” would it then be noticeable to walkers or drivers? Intent of the rules – Are there other established rules initiated by the Board of Directors that are not included in the By-Laws that clearly demonstrate a unit owner could not take this action? Board of Directors – An HOA board has a considerable amount of power to manage the association and the unit owners. Some boards take their responsibilities very seriously and others not so much. Is there a reason the Board of Directors has not yet acted on this question? Or, has the board acted, but not to your liking? Intent of the unit owner – Is the unit owner who went green-tone ignorant of the By-Laws, or were they aware of the By-Laws and disregarded them? Association finances – There are occasions where an HOA may remain silent on an obvious violation because they have no significant cash reserves to fund replacements or lawsuits. Cost to remediate – As the costs of returning a violation back to conformity rise, the reluctance of a weak HOA board to act rises. Politics – While By-Laws and rules are established to accommodate fair and equal treatment to all unit owners, the human condition can allow personal perceptions and feelings to influence decisions. Some HOA’s are well-known to contain cliques while other consciously guard against it. Devaluation – The question of devaluation is a question that may generate conflicting answers among informed experts, depending on a better understanding of the other considerations discussed in the foregoing points. A real estate appraiser who acquires and understanding of all the circumstances would be the most reliable source for an opinion. Consider approaching the next door neighbor, if you have not yet done so. The approach would be: “Seek to understand, then be understood.” Depending on where you are in dealing with this issue, it may be a good time to broach the idea of re-painting the window trim to match the other 87 exteriors. If you are rebuffed then you have to decide whether to leave it to the HOA to debate or you want to consider other options. A good real estate attorney with a substantial practice with HOA’s would be the appropriate counsel. Without the intimate details of the history, it appears the HOA is opening themselves up a can of worms if they let the green-tone trim stand as a precedent. I see “hot pink” in your future.